It was technically spring, if you took notice of groundhogs and almanacs that marked the seasons according to exact dates, but it was still bitterly cold in rural Gloucestershire. Martin Garvan left the comfort of his heated Range Rover only reluctantly and set off up the unmarked path towards the place where his sheep grazed. At least two of them were close to giving birth. He needed to bring them back to the farm and keep an eye on them. The trailer on the back of the car was prepared for the task. It was past dawn, but the sky was still miserably grey and a low mist covered the ground. This was a long way from the view of shepherding espoused by the Romantic poets and the even more idealistic landscape artists of a couple of centuries back. It was hard, cold and muddy work. As he neared the top of the slope he started to wonder exactly where his sheep were. This was, despite a chill wind that made him pull his collar up, the leeside of the hill. They ought to be hunkered down by the drystone walls or in the wooden shelters dotted about the hill to provide a warm place for sheep going into early labour. He couldn’t see them anywhere. What he did see was something that shouldn’t have been there, that had certainly not been there before. Not the ancient Barrow, of course. The low wall around it kept the sheep out as long as the tourist shut the gates, and his only interest had been when the university asked permission to use some of his grazing land as a camp site for a few weeks while they did a survey of it. The tents where they were still sleeping and those erected over the place where they had been digging loomed silently in the mist. He had given them permission for all of that. But he didn’t give them permission to build anything. “What the bloody hell are these?” he asked himself as he approached the ring of stones. He had made a bet with himself that they would be made of fibreglass or some such artificial substance. Maybe some group of druids planned on doing something silly. Or maybe it was the BBC. If it was the former he’d chase them off. If the latter, they owed him an apology and compensation for messing up his land. A lot of compensation. He was a licence payer, after all. Time he got some of it back. He reached out and touched one of them. He was surprised to find that it really was stone. It felt like stone. When he pushed against it, he felt the heaviness of a huge slab that had to have been put in place with a crane. Then he felt a tingle that started in his hand against the stone and travelled up his arm. It was like an electric shock but not quite so painful. Even so, he screamed as his vision blurred and he felt as if his feet were no longer touching the ground. Moments later, still screaming, he looked around in full sunlight at a hill that was both familiar and unfamiliar to him. The Barrow was there, though it looked different – newer, somehow, as if it had just been finished. The grass was only just growing over the mound along with the sort of wild flowers that took hold whenever soil was disturbed. The stones were gone. He was standing in an untouched meadow with nothing else in sight. Most of his sheep were there. They seemed to be all right. They were grazing perfectly happily on the side of the hill. But Martin was sure something wasn’t right, and a few moments more, scanning the horizon for familiar landmarks convinced him that he was in big trouble. Ianto and Alun had left Wales. They were following the Satnav direction through the Gloucestershire countryside. Alun had taken over the driving seat at the border and Ianto was reading up about their destination on his iPad. Alun let his husband’s voice drift over him without paying attention to the actual words for a while. There was something about the length and width of the barrow and a false portal behind which five children’s bodies had been found in the late nineteenth century. “Nice!” Alun shuddered and dropped out of the discussion again as Ianto read aloud about the forty bodies of adults and children found in two historical excavations in 1863-65 and 1928-30 and the partial restoration of the barrow entrance in the 1930s. “Don’t tourists mess with it?” he asked. Ianto went on at length about the technology used to identify voids beneath the ground that might be burial chambers or denser areas that would indicate walls. Alun concentrated on driving along the narrow country lane with signs every so often indicating the steepness of the incline. It wasn’t exactly the Black Mountains, but he was glad the Audi had good brakes. A less impressive car could easily start rolling back downhill. He parked the car presently in a lay-by already tightly occupied by two mini-buses and a land-rover bearing the logo of Swansea University and a Range-Rover with a livestock trailer attached. He and Ianto changed into wellingtons from their well-polished leather shoes and put their overcoats on. It was still only early spring and the wind could be charitably described as ‘brisk’. They climbed the wooden stile beside an English Heritage sign pointing the way to Belas Knap and set off uphill on a rough path between a grassy meadow and a small coppice of deciduous trees that were just starting to come into leaf after the winter. The camp where the students and professors were staying was at a decidedly odd angle. There was very little flat ground here. Ianto and Alun wondered what it must be like sleeping that way and remembered a pub with bed and breakfast accommodation a few miles back on the main Winchcombe road. If they had to stay overnight it would be where there was the possibility of a hot supper and a properly horizontal place to sleep. Beyond the camp was a wide ring of standing stones. A group of the students were measuring them, recording the height and width of the stones and the gap between them. Alun and Ianto walked past them to the exploratory trenches near the long Barrow and the line of canvas-sided gazebos providing cover for the archaeologists to work in. Professor Rhiannon Lloyd came to meet the two men from Torchwood. She knew them both well enough by now. They had worked closely together on the mystery of the alien skulls at Parc le Breos and several other peculiar incidents, since. “Good to see you, Professor,” Ianto said to her as they shook hands. She brought them into one of the very portable gazebos. The fresh breeze near the top of the hill was having a good try at raising it up from the weighted base. The board on which she had pinned a series of photos of the surrounding area wobbled alarmingly. Even so, it was perfectly obvious that there was something odd about the pictures Rhiannon was showing them. They were not pictures of the Barrow, but of the view from the Barrow. Some of them were prints of very old sepia photographs - Victorian men with their trousers tucked into their laced up boots posing heroically. Others were more up to date. One of them was an overhead view with the Google Earth symbol in the corner. Ianto looked at it closely and turned to the Professor with a puzzled expression. “Seriously?” Alun looked at her with a measure of surprise. Despite seeing a great many things in his career with Torchwood, an ancient ring of standing stones that only appeared within the past twenty-four hours was a new one. “I think I’d like to take a closer look at them,” Alun suggested. “I can take readings… check for unusual energy levels.” He brandished a pocket sized gadget that made a Geiger counter look pedestrian. It had been designed by Toshiko Sato in the Glasgow office and sent down to Cardiff for a thorough testing. It could detect fifty different types of energy particles, some of them not even known about by the best twenty-first century Human physicists. Alun really wanted to make it fifty-one. He was sure these stones would provide him with his own personal target. “I’ll come with you,” Rhiannon offered. That wasn’t exactly his reason. The mysterious stones clearly were the centre of something right within Torchwood’s remit, but it was always possible that the cause of the phenomena was on the periphery. Perhaps it was the dig - disturbing the ancient site - that created the anomaly. So he walked along the exploratory trench looking at the work being done to uncover shards of pottery that might be historically significant in some way. At least that was what he thought they were uncovering until he looked closer. Then he understood the reason why the gazebos had been erected over the trenches. They obviously didn’t want any country rambler stumbling across this. They had uncovered a series of Neolithic graves all in a remarkably straight row along the western flank of the Barrow. He counted fifteen whole skeletons of different sizes – men, women and children all buried together - before he actually lost count. There might have been at least twice as many. Ianto didn’t know what he meant, but he followed the direction indicated by the hand wielding a mud-covered trowel. He found Molly Edwards, her hair in a practical pony tail, wearing cargo pants and a university sweatshirt. She was kneeling on a hessian sack next to one of three skeletons lain side by side. She had her hand within the exposed ribcage picking out what looked like small pebbles. Ianto crouched and took one of them from a small pile and examined it closely. “It looks like an amber bead,” he said just in passing. “I suppose the thread holding them together must have rotted away, but a thing like this is practically indestructible.” He rubbed some of the soil from it. The bead was remarkably well preserved. The hole through it was full of dirt, but it looked amazingly precise for something that pre-dated power tools. Molly stopped talking. Ianto had given a gasp so filled with grief and pain that it silenced her. He jumped directly into the trench and reached out to touch the skeletal hand of one of the males. She watched him lift the hand and hold it next to his own. She gasped in astonishment. The Neolithic skeleton was wearing a ring that, if it was cleaned and polished, would probably be identical to the one Ianto was wearing on his third finger. “Hey!” Molly exclaimed as he pulled the dirt encrusted ring from the skeletal hand before scrambling out of the trench and running out of the tent. He ran part way up the slope, away from the archaeological camp, away from the mysterious standing stones. He kept running until he found a place where he could get a mobile phone signal and collapsed onto the long meadow grass as he placed the call to Torchwood Cardiff. He was breathless not only with running but with crying at the same time. Jack got there in an hour. He had ignored all speed limits and made sure every traffic light was green ahead of the Torchwood SUV. When he hurried up the hill, pacing himself so that he didn’t get out of breath or red in the face, and his hair was only excitingly out of place, he found Ianto sitting on the grass, still crying, his eyes red rimmed and his cheeks raw from the tears that streaked them. “Ianto, I’m sorry,” he said as he knelt beside him and embraced him like a child, holding him until the sobs gave way to something more coherent. He listened as Ianto explained what had happened and didn’t waste any effort disbelieving his story. He looked at the standing stones that shouldn’t have been there, the stones Alun and Rhiannon were going to investigate. They looked no more sinister than any such ancient monument looked, but he already had a theory based on Ianto’s account of what had occurred. 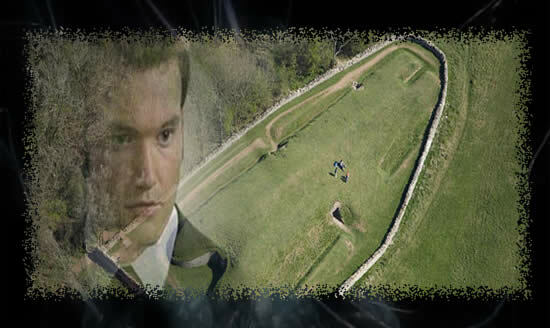 Ianto raised his head from Jack’s shoulder and glanced at the stones, then he looked away again. Ianto shuddered. That was a very bad analogy. “They’ve only got instant,” Ianto answered. But he let Jack lift him up and he walked beside him as far as the tent where most of the students were now congregated. Strange rumours had gone around the camp and the arrival of Ianto amongst them, his grief all too visible on his face, only confirmed them. One of the students came to him with a hot cup of tea and a bacon sandwich. Ianto accepted both gratefully, but neither the drink nor the food gave him comfort. Nothing could. He hugged his former lover tenderly. Even that didn’t help. Ianto had long ago left his arms for another man – the one he had lost in an instant of cruel fate. There was nothing physical he could do for him. The only thing he could do is refuse to accept the situation as it stood. 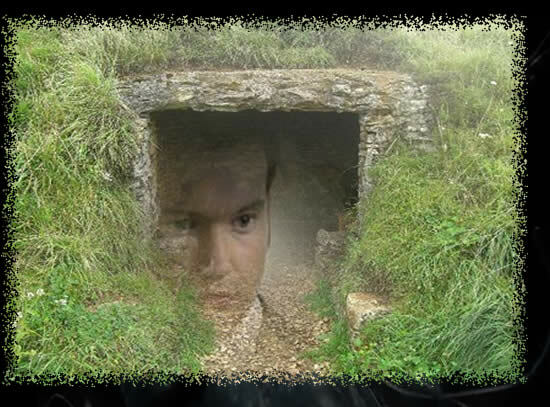 He walked up to the trenches where the bodies had been found. Molly was still there, trying to do something – anything – about the three modern humans who had been thrown back in time. “Yeah.” Jack answered. He felt incapable of anything else. It was hard to believe that the grey bones still covered in eons of mud really were Alun Llewelyn only a few hours ago. A scan with one of the lesser used functions of his vortex manipulator confirmed the truth. It identified his DNA somewhere deep within the dried up remnants of a once living body. The Vortex Manipulator. He stared at the futuristic gadget on his wrist for several seconds, then he turned and dashed out of the tent. Unlike Ianto he didn’t have to go anywhere to find a mobile signal. A special friend had once fixed his phone so that it worked anywhere and could literally CALL anywhere. He needed that friend now. He found the number – one with more digits in it than any ordinary telephone number – three of them not even found between 0 and 9. The phone rang for at least half a minute before it was answered. Perhaps he was busy. Perhaps he was deciding whether to answer the call. Anyway, it was answered. Jack didn’t recognise the voice, but he knew it was him, one way or another. Then Jack realised what he had been told. He almost dropped the phone in his excitement. He stood for a moment looking at the stones that had caused so much trouble, calming himself both mentally and physically. Then he placed another call, and two more after that once he found out the information he needed. He went back to Ianto and sat beside him. He held his hand and leaned forward to kiss him on the cheek. Ianto turned and looked at him with hope in his expressive eyes. “Anything for you.” He embraced him again, not as a lover, but as a friend who had once been a lover, and who would do anything to stop his heart from breaking as it was right now. The hours passed slowly. The students and graduates were all quietly taking in the fact that the leader of their expedition was dead. Ianto and Jack grieved for her, too, but mostly they kept a private vigil, waiting for the chance to try to make it all right. The means to put Jack’s plan into action arrived with a rumble that silenced the crowd in the mess tent. The cups laid out beside the tea urn rattled as the noise got louder. Many of the students ran outside to see what new terror was arriving in their midst. They were variously startled, excited and appalled at the deep swathe dug into the meadow as a mechanical digger and a Caterpillar with both demolition ball attachment made its way up the hill followed by a JCB roller and a tractor pulling a crop-spraying tank that, as it drew closer, proved to have a hazard sticker on it indicating that the contents were acidic. Jack didn’t explain in words, but as the mechanical leviathans came to a stop he ran up to the digger. He climbed into the cab in one single bound. The driver gave him the keys and his hard hat and climbed out, pulling his high-vis jacket around him against the distinct nip in the air as he joined the crowd of students watching events unfold. Jack moved the digger closer to the standing stones and brought the huge iron scoop down, digging under each of the stones until their deep roots were exposed just like teeth being extracted. When that was done he parked the digger and jumped up into the Caterpillar instead. He brought that into position and applied the stabilisers before swinging the wrecking ball. Each time it struck one of the stones it cracked it into several pieces. He kept going for nearly an hour until the huge stones were toppled and broken. Then he waved to the JCB driver. He did as he had been instructed - driving the roller over the broken stones, back and forward until they were crushed into pieces suitable for laying down as aggregate before tarmac was applied to a road surface. Then Jack took over again. He drove the tractor in close and sprayed the area where the stones had stood with the hydrofluoric acid from the tank. The stone fragments fizzed as the acid attacked them and they began to dissolve before the eyes of the thoroughly perplexed crowd. “THAT is how you kill a stone,” Jack announced triumphantly as he made the acid gun safe and turned from his work. He noted that there were suddenly a lot of sheep in the field. A man dressed for that kind of labour was trying to herd them away from where toxic fumes were still rising as the acid ate away at the stones. He turned from the farmer to where Ianto was hugging Alun as if hugs were going out of fashion. Professor Rhiannon Lloyd didn’t have anyone to hug, but Molly and some others of her colleagues were reaching out to grasp her hand, asking a dozen questions at once. Time was, the tea urn would have been laced with Retcon and everybody would wake up tomorrow oblivious of what had happened. But Jack didn’t use his little white pills quite so often lately – as long as the situation could be contained some other way. Only one very excitable student who was having a small mental breakdown in the corner of the mess tent needed treating that way. One of the graduates agreed to drive him to the nearest hospital and book him in with a case of severe agoraphobia. Everyone else was prepared to live with their unique experience of the Lonely Assassins without telling their tale to any conspiracy theory website. Martin Garvan was feeling better for a cup of tea. He talked about what he had seen. Alun and Rhiannon confirmed it. “Bringing us back saved their lives as well as ours,” Alun concluded. “Another good reason not to administer the Retcon,” Jack thought as he sipped the instant coffee and tried not to mind how bad it tasted. Later, when he felt a bit calmer, he needed to call that number again. He needed to thank The Doctor for telling him how to fix this problem without actually telling him how to fix it.